A boutique-style practice treating patients of all ages. 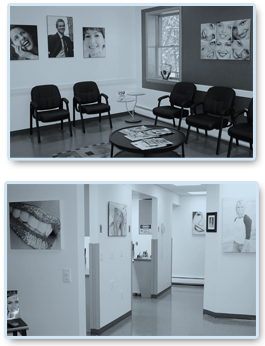 Dr. Mangot focuses on cosmetic dentistry and restorative procedures while addressing all aspects of general dental care. Our office offers a state of the art, modern, and comfortable setting. We try our best to ensure that your visit is as pleasant as possible. We value your time and never overbook appointments. Our team goes out of its way to make sure that you feel relaxed and comfortable. Should you require something to further relax you, or diminish your anxiety prior to an appointment, Dr. Mangot can prescribe the appropriate medications to achieve the desired effect. Our team goes out of its way to make your visits as enjoyable and pleasant as possible. We need to get to know you before we can treat you! Therefore, at our office, we see each patient as a unique person with specific needs and desires. Utilizing digital photography, intra-oral imaging, and diagnostic radiographs, Dr. Mangot will assess your teeth, gums, and bone structure, check for tooth decay and damage, and screen for oral cancer. After gathering all the data, we can decide on a customized treatment plan to meet your goals. Learn more about dental aesthetics. Learn more about dental restoration. Read Dr. Jonathan Mangot's bio. Call, email, visit or request appointment.